Campus is proud to be a supporter of our local communities for over 30 years. A key cornerstone of all local communities is the work undertaken by that of its schools. At Campus we value our relationships with our school customers, we believe in not only providing a first class delivery service with excellent prices but we also try to give back, by supporting school projects and fundraisers throughout our local depot network. At Campus we believe in giving back to our local community, if you have a particular fundraising event please do not hesitate to contact our Commercial Team by lo-calling 1850 839 839. For an express commercial quote, please complete the Express Enquiry form on the top of the page by entering your requirements and contact details. Campus supplies the highest quality products directly from the terminal. We monitor our prices daily to ensure you always get the best prices. Campus provides best in-class flexible delivery service, trust us to delivery your fuel when you need it! Campus Oil provides a dedicated customer care team, with a Territory Manager, Primary and Secondary Contact assigned to your account meaning you can rest assured that you will always receive first class personal service. Campus can provide top up or regular order service to meet your specific needs, meaning we can arrange a flexible delivery schedule at agreed intervals thus ensuring that you never have to worry about running out of oil. Out of hours deliveries can also be scheduled. Our extensive fleet can delivery order sizes from 500 litres to 38,000 litres. 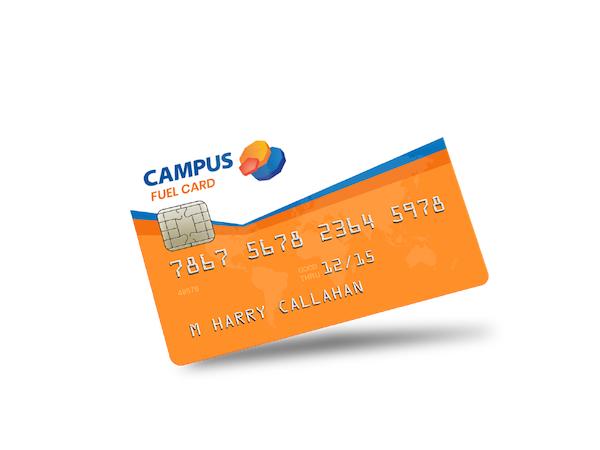 Campus has over 2,800 fuel cards being used in Ireland today across 760 service stations, this now includes all Service K Service Stations Nationwide. A Campus fuel card offers customers flexible and low cost solutions to efficiently manage their fleets. It doesn’t matter if you’re operating a nationwide fleet or a man in a van, the Campus Fuel Card team can develop a package to suit your specific needs. Visit our dedicated fuel card section for further details. We are a Proudly Irish, Fiercely Competitive and above all, Customer Obsessed team.